For workers who have a permanent foothold during work (it is not work in hanging position). target objects of operation: roofs, frame constructions, poles, ladders, industrial halls (machines, moulds, loaders, constructions), elevated surfaces, shelves, scaffolding, silos, stage constructions, cranes, sewerage, chimneys, etc. For workers performing work in hanging position. For workers at height operating in the trees. 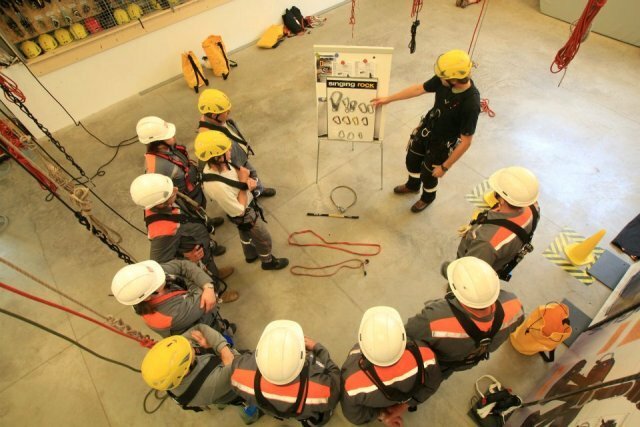 For workers at height and rescuers with proven experience and knowledge of Classes 1 and 2. For personnel of rope centres and parks and for organizations providing leisure time activities. For personnel of cable railways and the Integrated Rescue System (IRS). Training of persons qualified for periodic inspection of personal protective equipment against falls from heights according to CSN EN 365 standard. SINGING ROCK product training which also includes testing and demonstrations of using of PPE from our production. training for work at height and above depth according to the client's wishes, in which elements of all the classes can combine. sewerage, chimneys, tall buildings, silos, difficult access areas, etc. Special workshop aimed at testing of new, used and damaged PPE (Personal Protective Equipment) against falls from height. 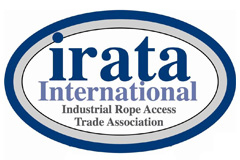 SINGING ROCK is the first and so far the only company in the Czech Republic which became a member of the globally recognized Industrial Rope Access Trade Association. After successful completion of the training the participant receives an IRATA certificate, which is valid around the world and which is required by some entities as the only possible prerequisite to carry out work at height. SINGING ROCK is the first and so far the only one FISAT member in the Czech Republic. 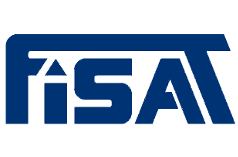 After successful completion of the training the participant receives an FISAT certificate, which is valid around the world and which is required by some entities as the only possible prerequisite to carry out work at height.